Today (Wednesday) an analyst from Citigroup became the latest lemming to declare the death of peak oil. 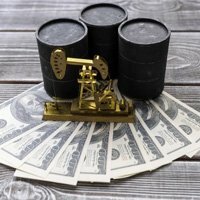 In a report entitled "The End is Nigh," Seth Kleinman says a combination of flattening demand and rising supply will cause oil prices to slide slightly by the end of the decade to $80-$90 a barrel. But while oil companies have made many large new discoveries over the past few years, including big shale oil finds in North America and Australia as well as deepwater finds in the Gulf of Mexico, that doesn't mean oil prices will fall. In fact, according to Money Morning Global Energy Strategist Dr. Kent Moors, it's far more likely that oil prices will continue to rise over the next decade. Moors points out what most other analysts seem to be missing – that all of the new oil finds present many challenges that will add to the cost of extraction. "None of this new volume is light, sweet crude," Moors said. "The average wellhead costs continue to go up, and that moves its way downstream to processing, wholesale, and retail." First of all, the whole concept of "peak oil" was based on the belief that the amount of oil the world could extract from the ground had topped out and would start to decline. The falling oil supply, combined with rising demand from a growing global population as well as rapidly developing economies in places like China, India and parts of Africa would, the theory went, drive oil prices sky high. But in recent years, a combination of technological advances and discoveries of vast new reserves have led many to declare the death of peak oil and confidence in the ability of oil producers to meet increasing demand. "There hasn't been much talk of "peak oil' lately," BP plc (NYSE ADR: BP) CEO Robert Dudley said at an energy conference earlier his month. Although Dudley said he believed demand for oil would increase by about 18%, or 16 million barrels a day, he said "new frontiers such as shale and deepwater" would be able to meet that rising demand. Those who see the death of peak oil have plenty of evidence, at least as far as increased production goes. Thanks to the shale oil boom, production in the U.S. alone has risen about 25% in the past four years. And deepwater discoveries off the coasts of Brazil, West Africa, and in the Gulf of Mexico over the past four years have been double the average of the previous decade. However, as Moors point out, the technology that enables the extraction of shale oil, or the drilling for oil deep in the ocean, is very expensive. It only makes economic sense to extract that oil as long as prices remain high. "With the largest new deposits uncovered, 50% or less of what is known to be there can be brought up because of geological, technicaland reservoir configuration/pressure considerations," Moors said. In fact, some of the more recently discovered oil reserves have so many expensive complications including poor grades and insufficient local infrastructure, that they're not economical at $100 a barrel or anything close to it. "If we are at $200 a barrel, everything is fair game. But that is hardly the market we are looking at," Moors said. Furthermore, he said, many people misunderstand that the prime drivers in today's oil markets are no longer the United States and Europe, but China, India, East Asia, and Africa – and in those areas, oil demand will spike as their economies grow. "The simplistic view of equating potential supply with depressing prices, therefore, is hardlythe case. This is not somepeak oil issue," Moors said. "Yes, new volumes are becoming available, but because of the factors I've described, the costwill still be rising." In short, all these new discoveries may indeed spell the death of peak oil, but are no panacea for the oil market. The good news for investors is that higher oil prices should translate to higher profits for many companies involved in the oil industry. "The trick is to invest into the dynamic not against it," Moors said. One area Moors has pinpointed for profit potential is the Coober Pedy basin in Australia, which is said to have $20 trillion of oil and gas reserves – nearly as much as Saudi Arabia. To find out more about Coober Pedy and opportunities like it, click here. We are fed up with the GREED of the oil masters and tanker hold-off speculators that cause enormous distress to end user consumers. For example – here in the UK we are now paying $4.34c per US gallon for 28sec heating oil. DISGRACEFUL !!!! AND EVEN MORE-SO WHEN THOSE LIKE DR MOORS RUB THEIR HANDS WITH GLEE AT EVERY RISE IN FAVOUR OF INVESTORS AND NOT THE CONSUMER. Is it correct to consider only oil? There are huge reserves of gas that can be exploited and couldn't it replace oil for transportation and electricity production? I read an interview from the former ENI CEO, currently professor at Harvard Kennedy School, in which he says oil will drop to $ 30 because of the use of these huge reserves of gas. I have been following Kent Moors' predictions for 4 or 5 years. During that time, I recall him predicting $140 per barrel oil, and he has NEVER, EVER predicted that oil would go down. NEVER!! During that time oil has gone up and down. Even a broken clock is right twice a day. In all of my readings of Moors' predictions he has never made reference to Canada's huge oil reserve and the impact that it has and will have on the price of oil. Canada supplies the USA with close to 40% of its oil. How could he not even mention it. The logjam of oil coming out of Alberta, Canada is creating a lower price right now because Alberta is only getting $30 per barrel LESS THAN WTI prices. When Alberta gets the pipelines approved for flows east, west and south, the price that they get will be Brent pricing and not WTI pricing. Moores has never made reference to this. On the other side of the scale, every time that oil approaches $100, other forms of energy become competitive with oil. That scares the poop out of oil producers like Saudi Arabia. They never want to lose their market share, especially to other energy sources. But they do want to milk the market for all that they can get until solar and other forms of electric energy overtake oil, which is inevitable. Batteries are getting a huge boost (excuse the pun) from the upcoming advances that will allow recharging them to 80% of their full load, within two minutes. This will be made possible through the addition of manganese to the batteries. And advances in nano-technology will give batteries 20 times the length of charge that they hold now. These advances in battery technology will make solar power more practical because of the ability to even out the down times of solar energy, like cloudy weather and night time. So to predict that oil will have a significant rise in price is rediculous. For anyone who doubts that this will happen soon, just look at the curve for any recent technology. When I started my business in 1986, computers were hardly used even for most small businesses, and my cell phone was the size of a brick. Now cell phones fit on your ear and computers have advanced at a rate that boggles the mind, including being able to talk to your computer. Anyone predicting the price of oil needs to look at the Big Picture. We are in a high oil price environment-despite the fact that demand suffered during the global economic crisis and forecasts for future demand growth are lower compared to 4 or 5 years ago. If you look at prices since 2003 there has been a steady rise, and prices have remained consistently above $100/bbl since July last year (Brent). So why is this the case?